“Bubbles, Burgers and Bocce,” is a ticketed event that will provide guests an opportunity to socialize and celebrate Las Vegas Restaurant Week amid an array of signature cuisine prepared by Rao’s Caesars Palace Chef, Nicole Grimes, presented in small bites. Bubbles is both a nod to the popular Italian sparkling wine, Prosecco, and the restaurant’s extremely popular former host, Robert “Bubbles” Ubriaco, who passed away last February. 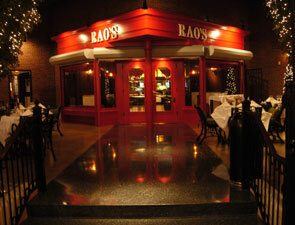 The evening will also feature a bocce ball tournament on Rao’s back patio overlooking the Garden of the Gods Pool Oasis. Guests will be competing for a variety of prizes, including a complimentary night’s stay (Caesars Palace) and dinner for two at Rao’s Caesars Palace. A portion of the night’s proceeds will be donated to Three Square in conjunction with Restaurant Week fundraising efforts. Priced at $25 per guest, a portion of the proceeds benefits Three Square. This is a limited-space event so guests are encouraged to RSVP through email at Raos@langdonflynn.com with tickets available for purchase at the door. Chef Geno Bernardo will kick off the fall season for Project Dinner Table on Saturday, Sept. 10. The popular dinner series returns from its summer break by showcasing the El Cortez Hotel & Casino’s outdoor event space, the Jackie Gaughan Plaza, for its September soiree. The dinner will benefit The Animal Foundation, a charity and cause that is close to Chef Bernardo. Social hour begins at 7 p.m., with dinner following. 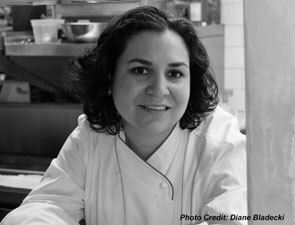 Project Dinner Table is the wildly popular community dinner series founded by Gina Gavan. What makes Project Dinner Table so special is the delicious sense of community each event brings. Every dinner is hosted in a unique location, typically not available to the public for dinner, with each location selected based on its ability to host the event’s signature long, white dinner table where the meal is served family style. Local chefs work with local growers and regional producers to not only create a one-night-only menu, but also to educate Las Vegans on local ingredients, community and culture while feasting on a gourmet dinner experience. Since Project Dinner Table’s launch in April 2010, every dinner table has been full. Project Dinner Table recently launched the Downtown FEED local farmer’s market located at 115 N. 7th Street, right behind the El Cortez Hotel & Casino. The farmer’s market is every Thursday from 10am - 1pm and is an excellent extension of connecting people with local growers. Chef Bernardo’s menu will highlight local ingredients from his own farms, fresh and seasonal fish and local produce from the Downtown FEED farmer’s market as well as some vegetarian options to satisfy all tastes. The hallmarks of Bernardo’s style are the thoughtful use of the freshest fish and finest seasonal produce. 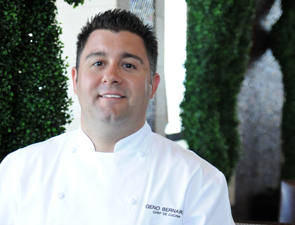 Bernardo joined the 9 Group to develop Nove Italiano, one of Las Vegas’ most acclaimed Italian restaurants. Just as N9NE Steakhouse, the group’s original restaurant concept, revolutionized the American steakhouse, Nove Italiano redefines Italian dining. Bernardo collaborated with Chef Michael Kornick, 9 Group’s James Beard-nominated consulting chef and partner and 9 Group Executive Chef Barry Dakake to create the menu for the restaurant located on the 51st floor of the Fantasy Tower at the Palms Casino Resort. The next dinner will be Oct. 15 with Chef Rick Moonen at Cashman Field, benefiting Huntridge Teen Clinic & Volunteers in Medicine. Start time: 6:00 p.m. The final dinner will take place on Sunday, Nov. 13. Project Dinner Table’s 2011 season is sponsored by Nevada Beverage Company, Whole Foods Market, Seven Magazine, and Renaissance Catering. Local partners and purveyors include: Gaia Flowers, Bacardi USA, Colorado River Coffee Roasters, Pahrump farms, Gilcrease Orchard, Herbs by Diane, UNCE Orchard, Chefs Warehouse, Hydro Greens and Bon Breads. To purchase tickets, go to www.projectdinnertable.com. For past photos, go to http://www.flickr.com/photos/projectdinnertable/sets/72157626935338935/. Restaurant Week is a two week long celebration of fine dining! 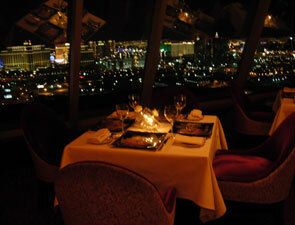 Make your reservations now for Alizé at the Top of the Palms and Andre’s Restaurant & Lounge at Monte Carlo. Both restaurants are offering an exclusive pre-fixe meal at $50.11. A portion of each dinner check will go to Three Square to help end hunger in Southern Nevada. Restaurant Week 2011 is taking place from August 29 - September 11, 2011. With the most impressive view of the famous Las Vegas Strip, Alize at the Top of the Palms Casino is also a proud supporter of Three Square. Below is the restaurant week menu designed by Chef Mark Purdy. Call 702-951-7000 to reserve your table. Hard Rock Hotel & Casino is synonymous for bringing life to the saying, “party like a rock star,” with its rock and roll entertainment, famous poolside and nightlife parties, exquisite restaurants and luxurious hotel accommodations, all under one roof since its inception in 1995. Continuing to transform the legendary Sin City experience, the off-strip property introduces its newest culinary destination, 35 Steaks + Martinis, beginning Friday, September 2. Guests are invited to unbutton their culinary inhibitions and discover the latest addition to the Las Vegas fine dining scene. 35 offers a unique marriage of traditional steakhouse cuisine and libations, complemented with clean, classic yet cutting edge design. Some of the eye-catching accents include custom chrome-plated chandeliers suspended from the main room, as well as black pearl glass pendants and white shell sconces adorned in the private dining area. The main room presents two elevations with silver, textured walls, split-faced marble stone and chocolate padded columns. The bar and lounge area features welcoming yet elegant fabrics and patterns as well as chrome and glass shelving, offering the perfect spot for people-watching. Rock and roll influences are executed through raw black and white photography scattered throughout the space. Indulgent signature dishes include the Tomahawk Steak, a 35-day aged, 35-ounce prime steak, Surf and Turf Skewers, Colorado Lamb, Organic Herb-Roasted Chicken and sides such as Apple-Wood Bacon Creamed Spinach and Fresh Cut Salt and Vinegar Fries. For small bites, The Lounge offers specialty bar snacks, late night. Flavor-infused libations include the 35 Gimlet, featuring cucumber essence and a touch of Hendrick’s Gin label, as well as the Spicy Signature Serrano Martini, a spicy blend of Belvedere Intense Vodka, fresh lime juice and Serrano pepper. The extensive wine list includes guests’ favorite, “Wines that Rock,” which feature Pink Floyd and Led Zeppelin labels as well as award-winning wines such as Alexander Valley Silver Oak. 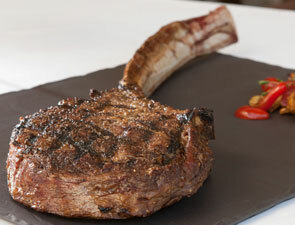 35 Steaks + Martinis will be open from 6 to 10 p.m. Sunday through Thursday and until midnight Friday and Saturday. The Lounge will be open from 5:30 p.m. to 10:30 p.m. Sunday through Thursday and until 12:30 a.m. Friday and Saturday. Border Grill Las Vegas at Mandalay Bay Resort & Casino is proud to present another incredible evening of award-winning cuisine matched with tequila. Featuring the simply perfect Patrón tequila, this exclusive dinner showcases a delicious five-course dinner created by Border Grill Executive Chef Mike Minor. He will be joined by Border Grill Co-Chef/Owner Susan Feniger, of Bravo’s “Top Chef Masters” and Food Network’s “Too Hot Tamales”. Thursday, September 8, 2011. A cocktail and appetizer reception will begin at 6:30 pm followed by a five-course dinner at 7pm. 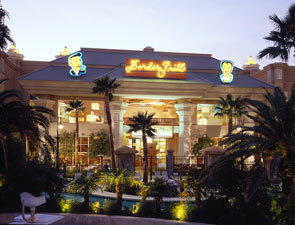 Border Grill VIP Club members are eligible for an exclusive discount, priced at $75/person (plus tax and gratuity). General Admission is $150/person (plus tax and gratuity). Space is limited, so please RSVP by calling 702.632.7403, or emailing your reservation to kharman@bordergrill.com. 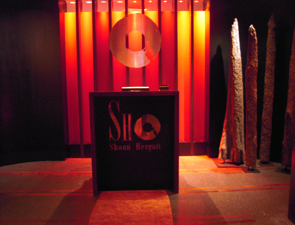 SHO’s got a great night in store for you on September 13th at 6:00pm. Four delicious courses of food, the complete Coho portfolio of wines plus some ‘untastables!’ Wines you can’t find anywhere and are left for you, the privileged few. Tickets for the event can be purchased directly through California Wine Merchants. Ardesia in Hell’s Kitchen is hosting it’s second annual shrimp boil on Saturday, August 27, 4-7 pm. Rain or shine! As summer comes to an end guests can enjoy a surplus of shrimp on Ardesia’s outdoor patio. Beer, rosé, and Ardesia’s signature cocktail will be included ($30/per person, exclusive of tax & gratiutiy). 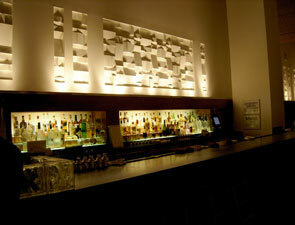 Reservations are accepted by email info@ardesia-ny.com or phone 212.247.9191. Mandarin Oriental, Las Vegas features a variety of vegan and gluten-free menu options for guests dining at MOzen Bistro and Mandarin Tea Lounge. Perfect for guests who have dietary restrictions, or those who are looking for a culinary change of pace, these items are a delicious and nutritious way to fuel one’s body for the hot summer days and nights. MOzen Bistro offers its guests a vast amount of both vegan and gluten-free menu selections. 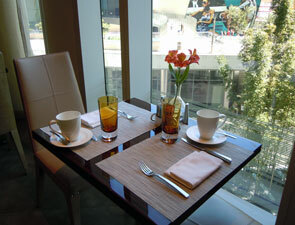 Guests visiting Mandarin Oriental, Las Vegas, can enjoy three different, filling meals each day. Vegan breakfast options include Grits Hominy slow-cooked with sides of raw sugar, sun-dried fruits and soy milk and Griddle Pancakes with fresh fruit and real Vermont maple syrup. For lunch, the refreshing Chef’s Salad features a hearty blend of mixed leaves with tomatoes, cucumber, beets and haricots verts in a lemon mustard dressing. Other options include a traditional Indian dish called Pani Puri featuring crispy hollow puffs filled with chick peas, potatoes and a shot of minted tamarind water. Dinner favorites include Spinach and Tofu Curry tempered with cumin and coriander, served with basmati rice or Uttapam, a savory Indian lentil pancake with onions, tomatoes and cilantro served with a coconut chutney side. Guests wanting to dine gluten-free also have an ample selection to choose from. For breakfast, a gluten-free French Toast is served lightly battered and pan-fried with sides of fresh whipped cream and Vermont maple syrup. For lunch, a savory fresh Vegetable Lasagna in marinara sauce, uses gluten-free noodles. And for dinner, guests will walk away satisfied after diving into the Murgh Makhani, tandoori roasted marinated chicken, in creamy Indian curry served with steamed basmati rice, and lentils. To make a reservation, please call +1 (888) 881 9367 or email molas-mozen@mohg.com. A velvety, fig laced foie gras terrine memorable to Everest’s longtime regulars was recently featured on the Food Network’s “Best Thing I Ever Ate” Show (view segment here). World-renowned Chef Joho has brought back this decadent dish that helped influence Food Network’s Claire Robinson’s decision to enter the culinary world. As a young lady, Robinson was sent on a culinary adventure by her father to Chicago. Her strongest memory was tasting Chef Joho’s infamous foie gras terrine at Everest. For a limited time, Everest will offer the Terrine of Foie Gras, Alsace Vieille Prune, and Black Mission Fig dish on their tasting menus. Everest’s tasting menus include a three and four course prix fixe menu as well as the chef’s tasting menu. Menu prices vary. 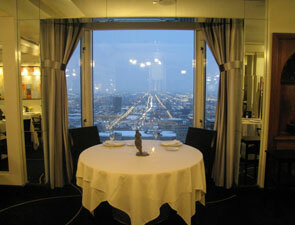 For more information and reservations, diners can contact Everest at 312-663-8920 or visit www.everestrestaurant.com. Everest is located at 440 S. La Salle St., Chicago, IL 60605. Aquavit’s Annual Crayfish Festival - This Week! Traditionally held in August, the Swedish crayfish catch is an occasion for friends and family to peel and eat crayfish boiled in beer and crown dill. Aquavit’s Annual Crayfish Festival will feature the peel and eat crayfish alongside a smörgåsbord of Crayfish Herring, Crayfish Skagen, Corn on the Cob with Tarragon Butter and more. Swedes began their long love affair with crayfish in the 16th century, when King Erik XIV ordered crayfish for his sister’s wedding dinner. Crayfish soon became a popular dinner item among the Swedish nobility and gradually spread to the Swedish people. Because of its immense popularity, crayfish fishing was heavily regulated and could not start before August. The law was eventually lifted, but the tradition of holding crayfish celebrations in August remained. Aquavit’s Crayfish Celebration takes place August 15-19 for lunch and dinner in the Bistro and during this time Aquavite invites you to sample a wide variety of both traditional and innovative crayfish preparations as well as our signature smörgåsbord staples.